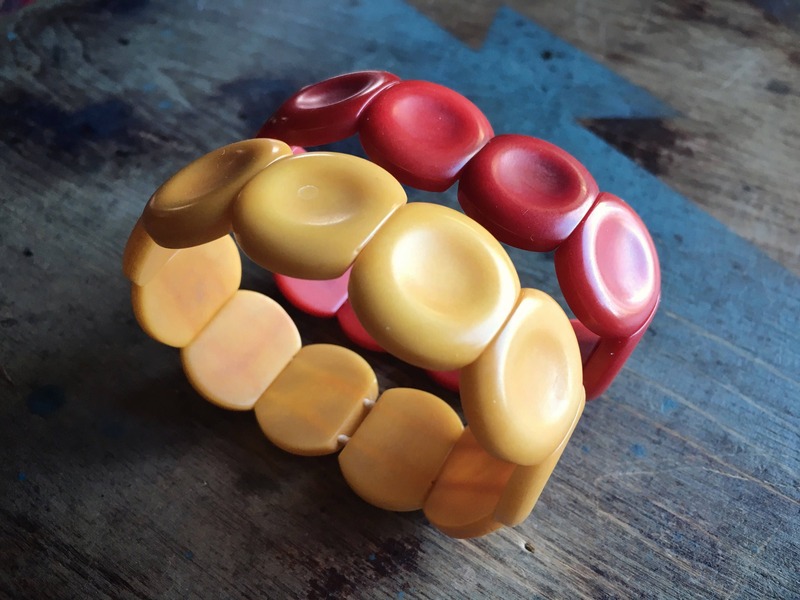 The Tagua Nut is often called an "ivory alternative" because the cellular structure of this rainforest fruit is similar to that of elephant ivory. 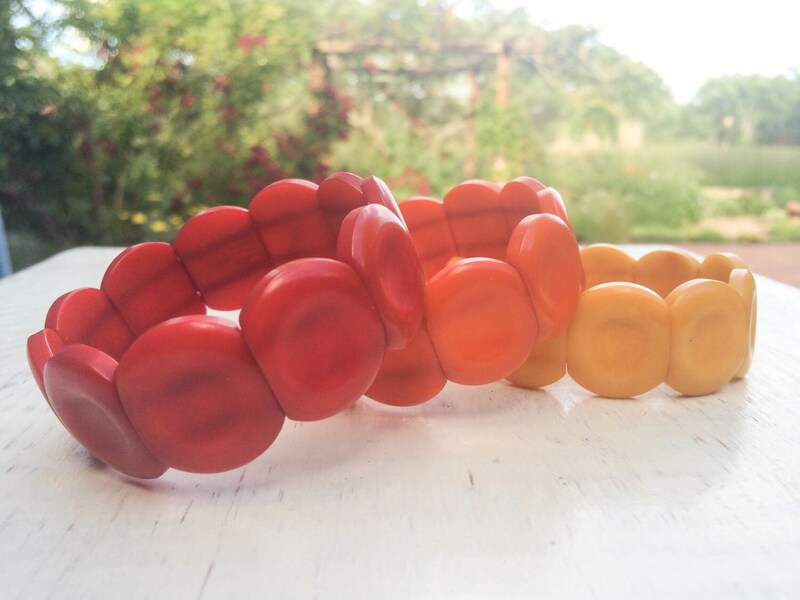 Tagua is a wonderful resource, as it provides a sustainable income for forest peoples. 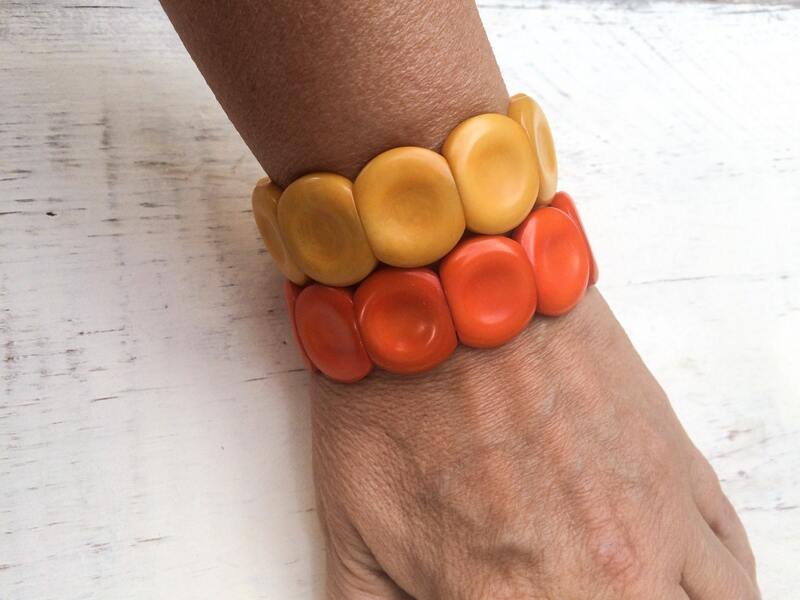 Tagua jewelry is easy to find yet this particular bracelet stands out with its modern look. 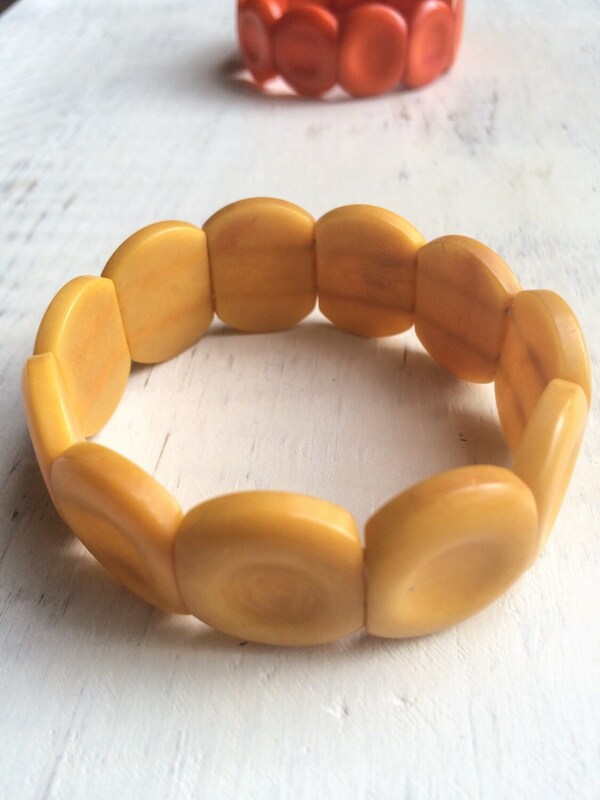 The bracelet hails from Ecuador. 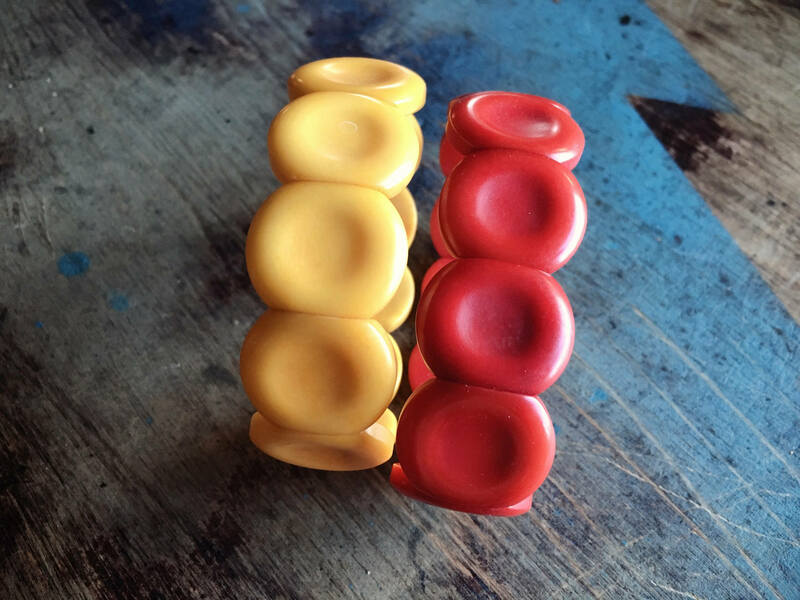 The bright beautiful color comes from mineral dye. 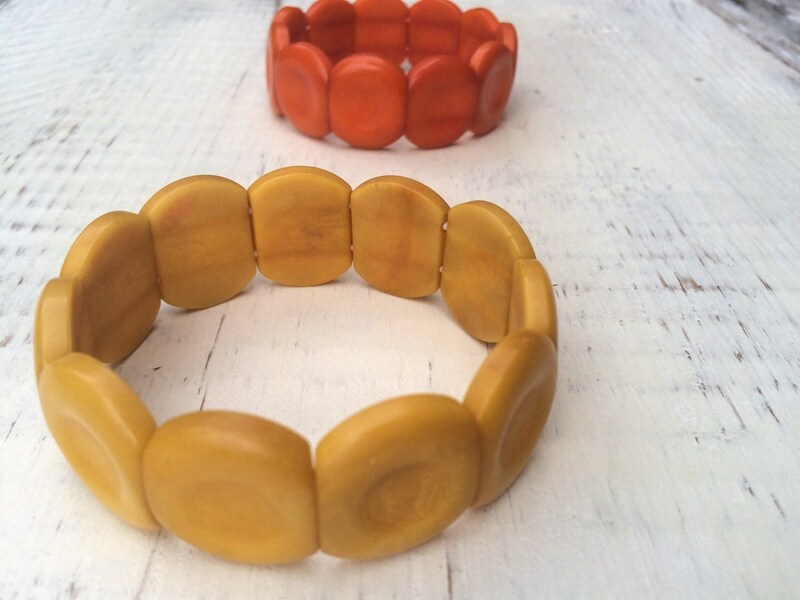 The bracelet measures about 8-1/2" around and is constructed with stretchy thread. 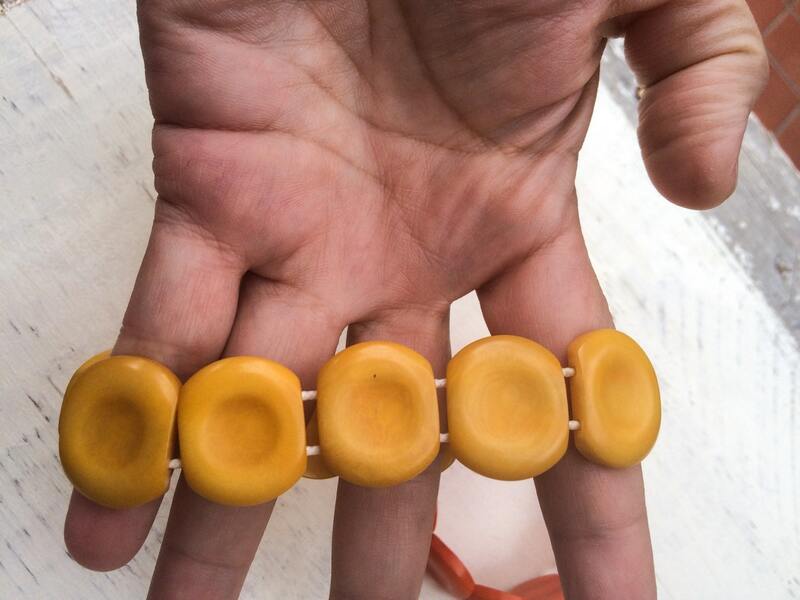 My wrist (pictured) is small-to-medium sized and you can see how the bracelet fits. I would not recommend this for a large wrist.